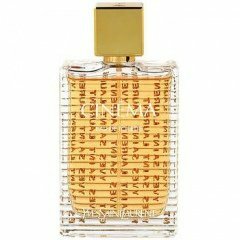 Cinéma (Eau de Toilette) is a popular perfume by Yves Saint Laurent for women and was released in 2006. The scent is sweet-floral. It was last marketed by L'Oréal. I remember very well when this scent came out but I never tested before, I don't know why it didn't attract me in the past. Today, while I was coming home, I went in a drugstore for testing some scents and I found this fragrance too , so I decided to try it, finally. it was a very nice surprise. Immediately the bright and fizzy clementine note came to my nose with its energizing and renvigorating effect (I was so tired!) , then I smelled the flowery bouquet, soft and well harmonized , extremely feminin. So, I thought: "Now I understand the reason of the name...maybe because it's a fragrance as bright as a movie star !" At last, the vanilla base note arrived: round, sweet but not sweetish, perfectly balanced and cocooning, giving that special warmth to this "limelight-scent". The longevity and the sillage are quite good although it isn't a heavy and so longlasting fragrance. it could be perfect for an event in crowded places because it's a pleasant and intoxicating scent , but quite discrete at the same time. Last but not least, the particular and refined squared bottle with the golden cap and the writings . 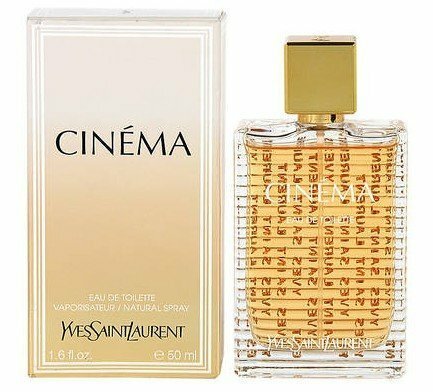 Ysl scent are usually quite expensive and this one too isn't cheap, but I think it could be considered one of the contemporary classics of the perfumery.Let's play to the movie stars! This is a review for a fragrance I rarely wear myself but i do enjoy it as something on to smell on others. Yves Saint Laurent's Cinema (edt version). Hope you enjoy the review. I love autumn, especially for its smells. Cinema's warm vanilla-balsamic scent reminds me so much of October evenings when the air feels crisp and clear and the maple leaves give off a slight sweetness as they curl up and turn brown on the lawn and crunch underfoot. I wore it a lot (during my air-conditioned evenings) to get me through the hottest parts of last summer (in the 90s F/33+C) and remind me that the soothing coolness is coming. It enchants me much less when the weather is actually cool, at which time it seems a little bit too high-pitched.